Toyark sponsor Big Bad toy Store has posted pre-order for the new Mattel DC Multiverse 6″ Scale Wave 11 Figures. This assortment includes pieces for a Batman Ninja Collect ‘n Connect Figure. This assortment is set for release in April. details: Fans and collectors will love these highly detailed 6″ key DC character figures. Each one features 20 points of articulation, detailed battle suits, authentic paint, iconic elements, and a bonus piece to build Ninja Batman! 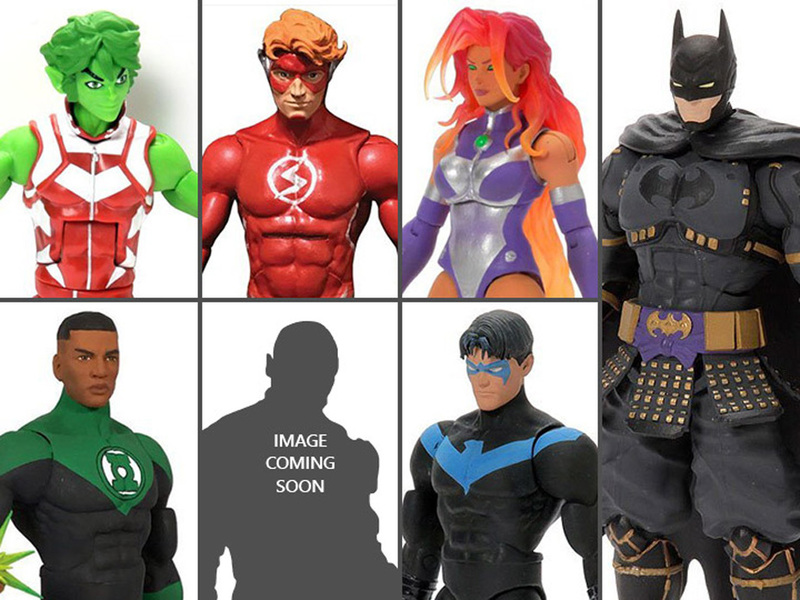 Beast Boy Starfire John Stewart Green Lantern Wally West Flash Nightwing Black Lightning (Not Shown) You can pre-order the full assortment by Clicking » Continue Reading. The post Mattel DC Multiverse Wave 11 with Batman Ninja Collect ‘n Connect appeared first on The Toyark – News.